Happier clients mean higher sales, more repeat business, and more referrals. So how do you make your clients happier? These classes dig into one of the most fun elements of business - giving your clients an exceptional experience. From first inquiry to final thank-you-note delivery, you can craft a unique experience that blows them away and gets them to rave about you to all their friends and colleagues - guaranteeing you significant referral business. Pretty portraits aren't enough. You need to explore every element of your business and brainstorm how you can make your clients feel like gold -- and these classes will help you do just that. Create a brand that feels authentic, personal, luxurious, and meaningful for your clients. These classes and many more are included in your Masters Collection membership. Learn how to handle the hard questions and gain the confidence to tackle the questions that often trip us up. Specific questions covered in the course include: “Can I just get the digital files?” “Can I see all the images from my session?” “Can I order later?” “I don’t have space for wall art.” and “Why do you cost so much?” If you’re one of the many photographers who struggle with finding the right words for these questions, this course is for you! Specific topics and questions covered in this "part 2" course include: maximizing positive client interaction & experience; the likability factor; handling an unhappy client (both when it is your fault and when it’s not your fault); questions related to session fees, sales packages, and presenting your “limitations” as client benefits; and creating trust in you as the artist. In this course, Mark will show you the 8 core areas within your business that cover the entire client experience as a whole. He will challenge you to identify the areas that need improvement with lots of thought provoking questions, ideas and suggestions to help you on your journey. You’ll finish each module with a benchmark of your current client experience in those areas and an action list that you can start implementing immediately. 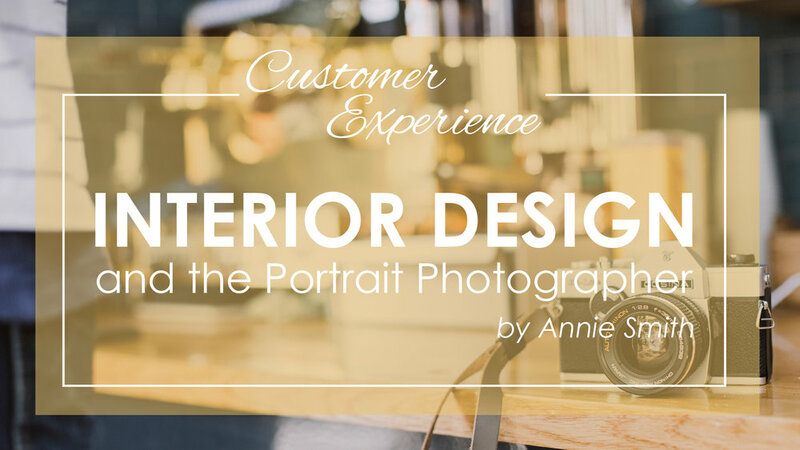 In this class, Annie will walk you through her consultation process, and she'll teach you how she sets her clients up for big wall portrait purchases. You'll learn about her ordering appointments and how she educates her clients to choose an appropriately sized portrait for their home. Lastly, you'll learn how to hang and decorate with portraits, including proper placement and sizes! Join JoAnne and Jason Marino as they walk you through the processes that took them from keeping up with the Joneses, to being the Joneses! They'll share all of the client experience tips that helped turn their business into a six figure powerhouse, and can do the same for yours. Not a member yet? Join the Masters Collection today to instantly access these and dozens of other full-length classes for a low monthly fee.